Okay, a couple of days ago, we took a look at the big guys in the consulting services/systems integrators side. Now time for the little guys. If you send in the registration form to me, I will presume that you are going to fill out the questionnaire by the due date and will start tracking you as soon send the registration back to me. Please don’t waste my time and request the questionnaire and then not fill it out. I’m tracking you for the better part of a year if you do send it. The revenues of these two companies combined wouldn’t even be the size of a big deal at one of the other three companies. Yet, Solvis Consulting Group and The Pedowitz Group (TPG) have a market impact which, while more narrowly focused, is also powerful in their specific domains. The two companies are every bit as worthy of the Watchlist award as the three other much bigger boys in this post. Impact, when focused well, is Impact with results. Both these excellent companies beat out a larger group of smaller consultancies. In the interests of transparency and disclosure and compliance and whatever other words need to be in a statement like this, I will say that each of the winners has a close friend of mine in a leadership position; but so did some of those who didn’t make it. The irony is that the friend is a friend because they are so influential I couldn’t help but meet them. The rest followed a normal human path. So, let’s end the Watchlist for 2013 with a bang and talk about these two sector-powerful companies and the impact they are having and the challenges they face. What makes Solvis Consulting powerful isn’t their size. It’s how they approach their geography. When it comes to CRM, Solvis is a company that dominates CRM and related mindshare in Latin America (LATAM). Solvis was founded almost 20 years ago (1995) by experienced consultants who all knew each other from Cambridge Technology Partners. What makes them unique is that the founders and their families are still involved in the company 18 years later. Their culture is defined as a group of friends and family who enjoy working together. While that might sound too much like a marketing message to you. I assure you, having firsthand knowledge of it, it isn’t a message. It is their culture. What’s interesting though is that it isn’t just personal. That would just be a group of friends. It’s the culture that permeates a business that is attuned to the specific requirements of the Latin American marketplace. Solvis has offices in Mexico, Argentina and Colombia and has done business in multiple other countries across the South American continent, yet even across country, has retained the deep closeness that uniquely characterizes them. They have a business culture that actually encompasses lifestyle choices. Their focus is obviously CRM and, to that end, they provide services and technology. If I had to place the company in a category, I’d call it a strategic services company. While they have technology partnerships – strategic and reseller among others – with Radian6 and salesforce, Get Satisfaction, Lithium, Fuze Digital and FullContact, the bulk of their revenue is derived from defining models and strategies and creating systems to support those models and strategies. The services range from educational (“How to Establish a CRM Strategy”) to methodological (Social CRM Strategy service); to developing command centers (“Social Command Centers” to manage crises, do customer support; or even track and interact in the realm of social marketing). What makes their approach so potent is that they do what other consultancies should do – focus on outcomes. They aren’t selling technologies, even with their reseller agreements with some of the tech vendors. They are focused on creating the framework and defining the systems necessary to achieve specific business outcomes for their clients. To be clear, that goes beyond “solving business problems.” Things that companies need aren’t always repairs of drywall. Sometimes they need to construct a new building or build an extension on an already lovely building. We have to get past the standard “solving business problems” drivel and start focusing on valued outcomes. Solvis doesn’t. They already do that. Their track record speaks for itself with a marquee set of customers – over 80 of them in Latin America – and some of the best known names on the continent – Telmex, Movistar, Aero Mexico, Ford, Social @Ogilvy, etc. They don’t ignore thought leadership either. The managing partner is Jesus Hoyos, the leading CRM mind for the region and one whose influence has extended into North America and the Spanish speaking countries of Europe. With countless speaking engagements and writing, Solvis’ name is getting out all over the world. Jesus is evangelizing by doing what good thought leaders do – aim at mindshare not market share. He speaks to ideas and concepts, best practices and strategies; not Solvis and pricing. But, by their own admission they invest very little in marketing. Which of course, limits the ability to grow beyond a certain level. While you might think that this is due to a budgetary limitation, if that’s what you think, then you are only partially right. The lightness of marketing spend is actually part of their fundamental dilemma – which is, how do you retain this incredibly close personal culture when you are growing in share of wallet and mindshare continually? They already have a powerful impact in Latin America and have reached a level of business that demands staff growth. So, what is it that Solvis has to do? Make a fundamental decision from which all things stem – They have a great culture. Everyone knows and loves everyone else at the company. It is a truly customer-centered company that walks the walk. When they recruit, they recruit highly skilled, very competent professionals who they know or who fit into the culture like a glove. But they are also a business that has reached a point or will soon that further growth will start depersonalizing the culture of the company, just because there are only so many people that they can hire who fit the cultural norm of the company before the skill sets needed become unavailable. In this, lies their fundamental dilemma – and how they answer this is from what all other answers grow. Do they grow and lose something of their culture or do they remain steady where they are and lose something of their business impact and limit their growth to tiny incremental growth? But keep the lifestyle. They have to make this decision soon because they seem to be at or close to that point. I can’t make it. They are one of the few companies that I can say it’s truly a personal decision. It’s just a very hard decision. Partner with other consultancies – This is one option that is only being proposed if they are trying to both grow and to maintain their culture. By partnering with other highly effective consultancies, they may (and I emphasize “may”) be able to diffuse the growth via the extended staff available through the consultancies that they are partnered with. The consultancies do some of the work that Solvis would have done if they were aimed at exponential growth and Solvis makes some margin without having to grow their staff. That, though adds some operational headaches but might be a way to not lose business while maintaining the family friendly culture that they do have. Spend more on marketing – I’m going on the assumption here that they’re deciding to grow. If not, they really don’t have much more they need to do; they have an organic sales opportunity machine but not one that provides the ability for huge pipelines. To get to that level, they will need start spending marketing dollars in the markets that they are interested in where they may not have traction. Perhaps some marketing spend in Peru (if they want to do business there) so that they have some visibility if no presence. That’s just an example. I’m not suggesting that per se. Just that they seriously consider relying less on the idea that thought leadership is a substitution for marketing. For a company this well balanced and this experienced, growth is inevitable. Not only do they have a profound knowledge of the LATAM market but they have the precise expertise needed for that and a clear cut strategy for capturing both mind and market share. THAT is why they are an impact player. But 2013 or maybe 2014 and the growth will begin to reach a point where the decisions have to be made. Whatever decision they make may affect the kind of impact they have in the future, but it won’t affect whether or not they will be a major player in LATAM CRM. That they will always be. While I was thinking through how to handle The Pedowitz Group (TPG) – what I wanted to say, what I think they need do to – an image came to mind. This might sound peculiar but they are a dynamic elegant company. Yeah, elegant. Because there is very little that they haven’t done under the leadership of the three primary partners – Jeff Pedowitz, Bruce Culbert and Debby Qaqish, that hasn’t been smart, focused and sophisticated in both form and execution. Thus elegant. But elegant doesn’t mean light weight. That very sophistication leads to recognized results. In the last year, TPG has been recognized by Inc. Magazine as one of the 500 fastest growing private companies in the United States in 2012. They won the Watchlist last year for the first time; they were recognized by the Atlanta Journal as one of the 50 fastest growing private companies in Atlanta. Meaning, they are doing something right. That all translates to revenues too. They have increased their revenue five consecutive years and in 2012 increased their profitability by 250%. They are cash flow positive, debt free and able to grow the business as the opportunities arise. You can’t ask for much more than that, if you’re looking at a company with a future. They call themselves a “Revenue Marketing Agency” which is important for two reasons. One is that it gives them a very specific focus around not only developing the marketing technology strategies that are needed to move marketing forward – but also ties them to the contemporary trend that we are seeing everywhere – marketing objectives and sales objectives are being aligned, which results in the assignment of revenue objectives to marketing. They are perhapsthe experts in this in the U.S. and possibly, the world. That gives them a unique perspective in what is the hottest sector of all customer-facing sectors in business – marketing. Marketing, which for several years, lagged behind the other customer facing departments – customer service and sales, has exploded forward with the advent of social and content marketing in particular and with the aforementioned alignment of sales and marketing in general. For example, a recent poll conducted by B2B magazine of extant marketers found that 96% of them had some involvement in social media. No longer is social either wow or experimental but for marketing professionals, being involved with it either programmatically or individually is necessary. This gives TPG a leg up on any competition. They are focused on B2B marketing and they have the in-house expertise to handle the end-to-end work from strategy to implementation for revenue marketing. (A parenthetical note: Eloqua and Marketo call this revenue performance management – which to me sounds like accounting, not marketing. I like TPG’s characterization of it as revenue marketing way better. Eloqua and Marketo, please take note). They have served over 1000 B2B clients over the years and have the partnerships they need to handle the technology aspects of the strategic services that they provide. So, for example, they associate with (mostly through partnerships) 13 platforms. Those that are strategic are Marketo, Aprimo (now Teradata Applications), Oracle, Eloqua and ExactTarget. (Noticeably missing is hot marketing technology company Neolane which is more visible in Europe but is also becoming a serious player here. TPG might want to look into them if they haven’t already) But they have point technology alliances too with companies ranging from Jive and Lithium for communities to Demandbase and Omniture for analytics. In other words, they cover their bases. But they don’t stop with just the groundwork. They have an active market presence – how about that? A marketing company with a market presence – with visibility in print, on the air and over the web well beyond the scope of this post. They provide thought leadership in the space, not just speaking on topics like demand generation but also with a Revenue Marketing University dedicated to training and education in what they have their stake buried in. Their leadership constantly wins awards for being among the most influential in the world of marketing. Most importantly for both thought leadership and work, they have a comprehensive framework that covers both what is and what needs to be done. That means the “what-is” of the Revenue Marketing Journey to the “what-needs-to-be-done” of the Revenue Marketing Transformation. Attached to the latter in particular are toolsets such as the RM6 assessment tool to see what stage of the journey you are. But that doesn’t obviate the need they have to do few more things that I think will increase their impact and skyrocket them to an entirely different level. What might that be, you ask? Let me tell you. Take a small calculated risk or two – One thing that is very apparent after dealing with them personally, doing the research and reading their submission is that they are not risk takers. Their commitment to “repeatable, predictable, sustainable” tends to not just be an outcome they are looking at achieving with their customers, but what makes them tick as a company – which is a good thing. However, most companies looking for dramatic leaps in impact and revenue, have to take some calculated risks. TPG can take small ones. For example, If you look at their Revenue Marketing Journey it is predicated on an old school look at where most companies are and could be in their marketing maturity. But, given the numbers we are seeing, is the traditional starting point of the 4Ps going to be the traditional starting point for marketers in 5 years? If not, their journey model will break. So, why not be a bit visionary (though not too much) and start prototyping the revenue marketing journey of five years from now? It’s a bit of a risk, because it goes against their grain but if controlled can be a valuable addition to their arsenal of tools and frameworks at the point its needed. Which isn’t too far off. That’s one example of a small calculated risk. There are many. They should consider them. Step up their analyst relations/influencer relations program – Interesting if you were to look at the “who they know” list of analysts and other influencers, it would be impressive. In fact, from the influencer side each of the three partners, especially Bruce Culbert, could be characterized as an influencer. But, when viewed through the lens of a formal AR/IR program (not so much PR), it’s a whole other story. To boil it down, they don’t really have one. They’ve reached the stage where AR/IR can no longer be sustained as a personal effort – which it is with Bruce Culbert taking the lead. They need to bring someone in or hire a company to start regularized interactions with multiple kinds of influencers. This company has a shot at being a long term market leader in demand generation and revenue marketing – in fact the market maker in the latter. But that takes a sustained outreach that there is NO way that the leadership of the company can do by itself. Time to bite the bullet and get out there. I don’t really think TPG needs to do much more than this. Elegance in their case, carries a lot of weight and a lot of sustainable impact. They are well positioned to be in the Inc. Top 50 fastest growing private companies someday pretty soon if they can keep up what they are doing. But they need to do the tweaking and, if they do, the rest will be history. Well, amazingly, that’s it. I’m done with the 2013 Watchlist. My life has a big (and entirely welcome) void in it now that the god-know-how-many words of reviews are done. But I’m already onto the 2014 registrations (we have a few more than 60 so far) and I have to turn all these into a yearbook which will go out to those who are registered for the 2014 Watchlist and any of you who request it from me at paul-greenberg3@the56group.com. 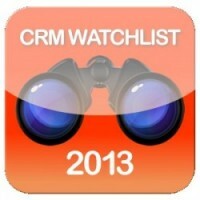 Please ask for the CRM Watchlist 2013 Yearbook and I’ll send it to you when it’s ready in a couple of weeks. Thanks for being patient. I know that this was arduous but I also hope it was useful. If not, I’m sorry.